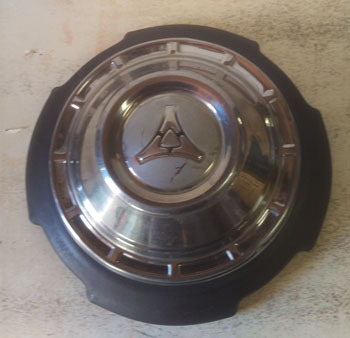 Now available... for all B-body guys and gals that have been trying to find the right wheels so you can run your correct 10 inch dog dish caps. 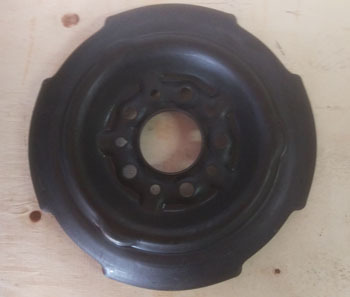 New wheel centers, build your own wheels or send them out and have them built to your specs. 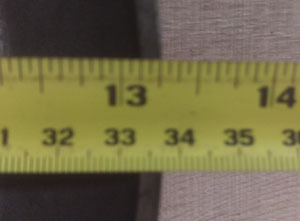 These wheel centers have been stretched to 13.25 inches to work with new wheel bands or with factory used wheel bands. They are $50.00 each plus shipping or pick up at the swaps that I attend. Last edited by duster2; 12/04/17 10:24 AM. Last edited by duster2; 12/03/17 08:33 PM. There an up coming article in Mopar Collectors Guide about these centers. Also I will be at the Mopar show in May 18-20 at Old National Trail , at Carlisle in July and back at Old National Trail for the Mopar Nationals. ....got These for my 65 Belvedere1......super nice Quality. Greetz from Germany and "BIG THANK YOU"
Article in this month's Mopar Collectors Guide , check it out..
Will be at Carlisle , Row E spots 9,10,11. Mopar Nats Row I , spots 13-16 , I will have plenty of wheel centers. Still have more of these for sale... Weldem' Up !! 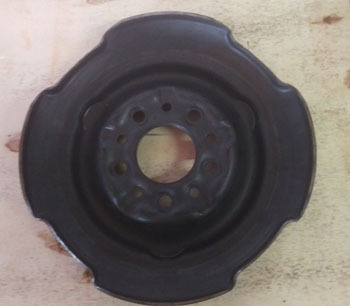 Still have these 10 inch wheel centers for sale , ready to go. but the nubs , to see if they could be adapted to a 9 inch center wheel. 2018. Check out the latest issue of Mopar Collectors Guide. An update on getting these wheel centers built into wheels. they can get , least amount of backspace is 4 1/2 inches. Phone 414-744-2010 and ask for Bill. in WI , is $12.50. PS. 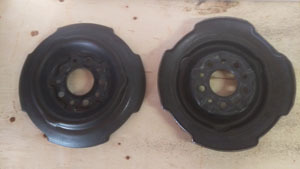 I have a couple of pic of his wheels , too large for this site. Also I will be at the Indy Cylinder Head show in Indianapolis , Indiana. Free shipping for the wheel centers in the continental U.S.A. , now till the end of April.